South African rugby news, fixtures, results, video, interviews, and more. Covering the Springboks, Bulls, Stormers/Western Province, Sharks, Cheetahs, Kings and Lions, as well as schools and club rugby. Rebels No 8 Amanaki Mafi may hold informal talks with teammate Lopeti Timani after their alleged fight in Dunedin last month. Outgoing Rebels loose forward Lopeti Timani has opened up about his fight with teammate Amanaki Mafi in New Zealand last week. 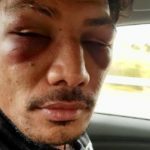 Rebels No 8 Amanaki Mafi is in police custody and set to face charges after allegedly assaulting teammate Lopeti Timani.